What would you do if you were Mayor for a Day? 30 Highbury Fields School Student Council members were able to explore this through a series of workshops during November. 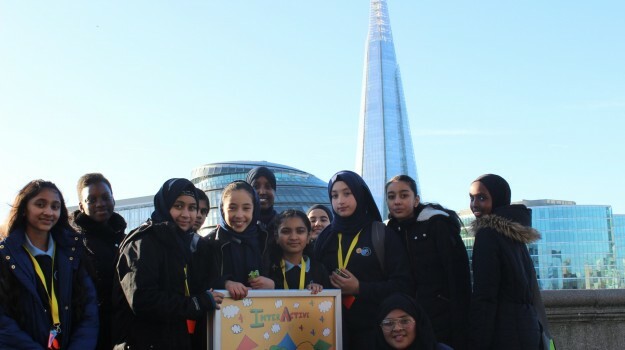 The School Council Students worked with project managers to consider issues that affect young people within the theme of healthy spaces and developed their own solutions to the problems faced by young people feeling safe in parks in London. The students from Year 7, 8, 9 and 10 then worked with artists and media professionals to make an advertising campaign including a poster presentation and film to showcase their ideas. The project adverts were displayed in London newspapers and billboards around Westminster. 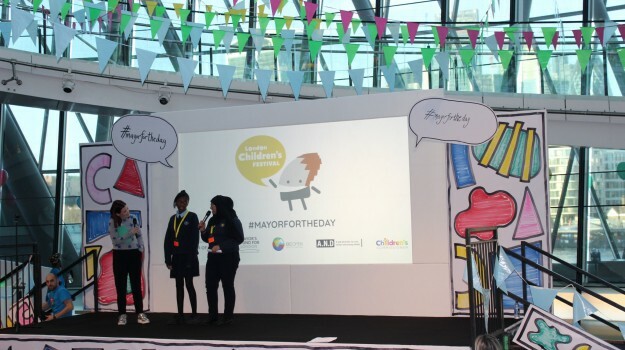 The School Council was selected to take part in this high profile project, funded by The Mayors Fund for London, as one of eight London Schools. 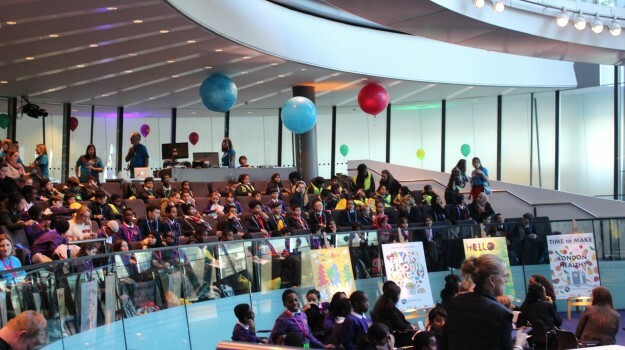 On 1st December, the students were given the opportunity to show case their project at London's City Hall to the Deputy Mayor of London, CEO of the Mayor's Fund for London and ten of London's Borough Mayors in a day long event hosted by BBC Blue Peter's Lindsey Russell. 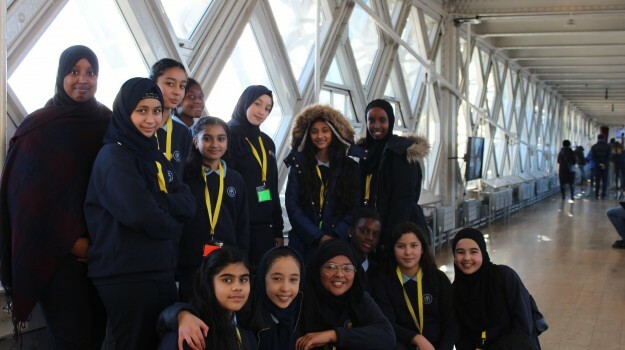 The students worked in the morning in a venue in the North Tower of Tower Bridge before spending the afternoon in the Mayoral Chamber in City Hall. The students were fantastic ambassadors for the school and presented their ideas to 250 students from around London.